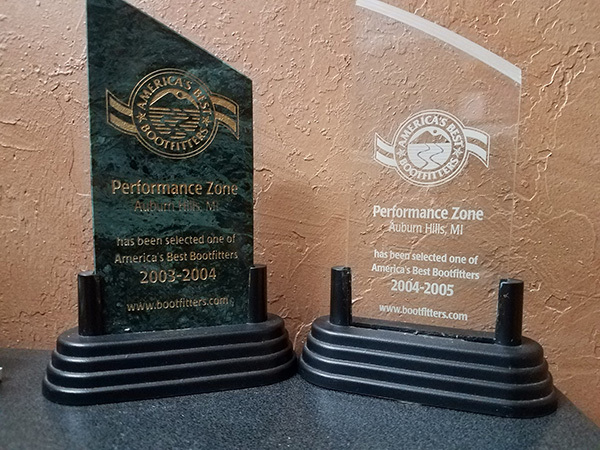 PERFORMANCE ZONE is Michigan&apos;s leading provider of Orthotic & Pedorthic services. We specialize in non-surgical treatment of foot, ankle and lower-extremity conditions. Brian Graham, C.Ped, BOCPD, established PERFORMANCE ZONE as an alternative to traditional DME and O&P facilities. While managing an O&P facility, he observed that many patients reported a negative experience with foot orthotics. Common complaints were they hurt because they were too rigid or had excessive correction. Others complained of the high cost and excessive wait times. Even now, it&apos;s common to wait several weeks from the casting to fitting...... Not at Performance Zone! Brian was the FIRST practitioner in Michigan to utilize CAD/CAM technology by Amfit. That breakthrough allowed us to offer our patients "ORTHOTICS IN AN HOUR" The foot impression is captured via a contact digitizer. The orthotic is then custom milled in our in-house lab... THE ENTIRE PROCESS IS DONE WHILE YOU WAIT! Because we&apos;ve mastered the art and science of orthotic therapy, we&apos;ve been trusted to treat literally hundreds of college and professional athletes. Brian Graham C.Ped. is the pedorthic consultant to The Detroit Pistons, Michigan State Athletics and Oakland University Grizzlies. TAKE A MINUTE TO CHECK OUT MEMORABILIA FROM SOME SATISFIED CLIENTS. While our staff is highly trained in the treatment of sports injuries, we also specialize in the treatment of pediatric, geriatric, motor vehicle and work related injuries. We work closely with leading surgeons, athletic trainers, therapists and chiropractors. Don&apos;t trust your foot health to some foam box or drugstore scanner. At PERFORMANCE ZONE, you wont find crutches, canes, walkers or supplements. What you will find, is a truly specialized facility that&apos;s dedicated to getting you pain free and functioning as fast as possible. You have a choice. Board certified... nationally recognized - that&apos;s PERFORMANCE ZONE! 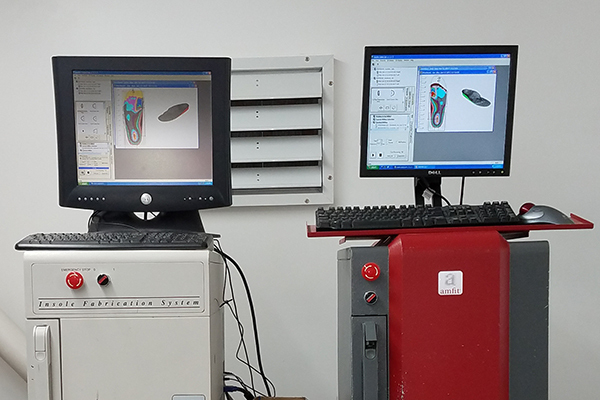 Performance Zone specializes in the manufacture and fitting of custom and prefabricated foot orthotics, and we can ship them to our customers! Performance Zone is your one stop shop for sport orthotics, ski & skate stance balancing, gait evaluation, and many other important foot related issues - trusted since 1994! © 2016 Performance Zone, Inc.